My 'Merry Christmas (insert year)' posts have become a bit of a regular thing here on my blog for the last four years. Every year I comment what a lovely day we have had with family, the kids enjoying their gifts and recovering in some sort of food coma. This year is no exception and everything was in excess. The kids were too spoiled with all the gifts they got, we all over indulged with turkey and baked ham and all the lavish veggies to go with them. Plus triple dessert! Thank goodness Christmas is only once a year! The kids were awake at 6.30am all excited that Santa had been. There are at such a wonderful age where they are totally caught up in the whole magic of Christmas, and still young enough that they don't ask any questions about how! Right now I could seriously start another blog about reviewing toys, in particular Lego - I swear Mr 6 has nearly every box available. He and Dad are currently building some massive spaceship at the dining table. 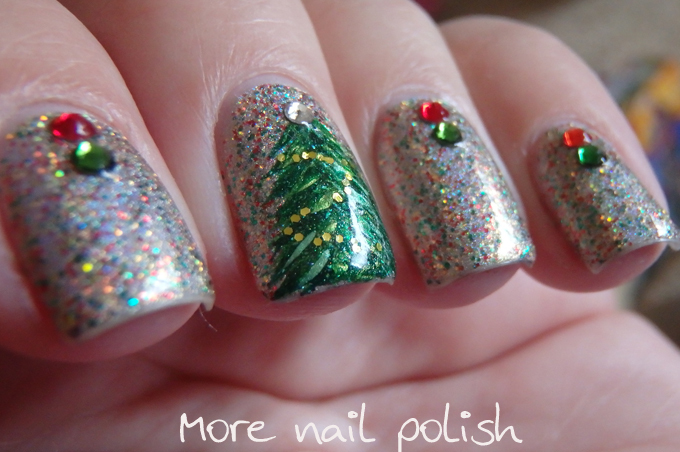 Let's have a look at the nails I ended up doing with my mum last night as we watched carols on TV. The base polish is an amazing creation that just doesn't look anywhere near as incredible in these photos as it does right now in real life. 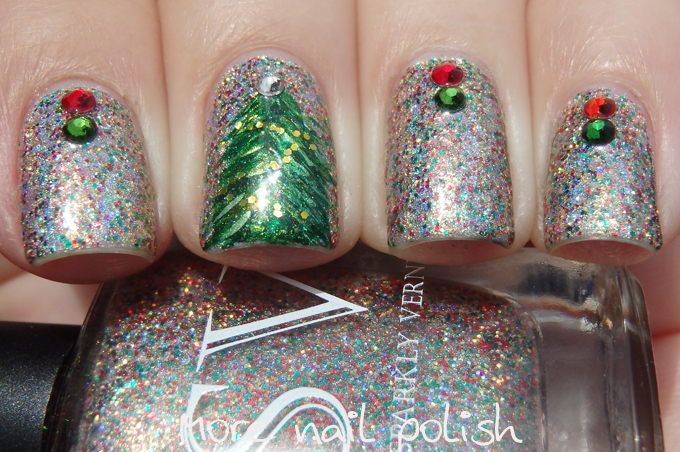 It's an unnamed custom polish that was sent to me from SV by Sparkly Vernis. 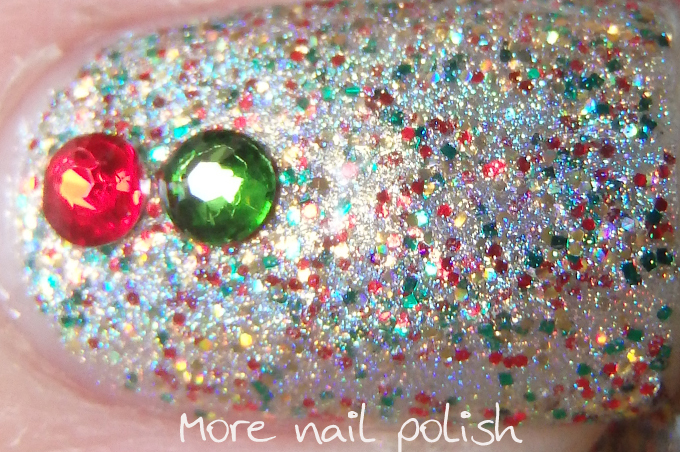 It's holo, and gold holo, but also with red and green glitters. 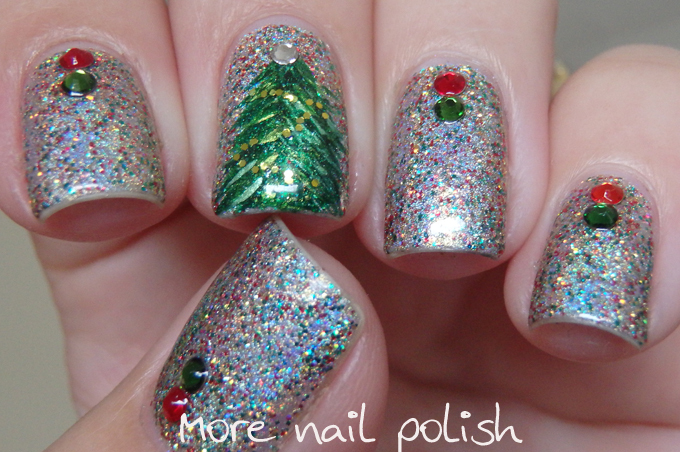 It's a perfect gold polish for me for Christmas. 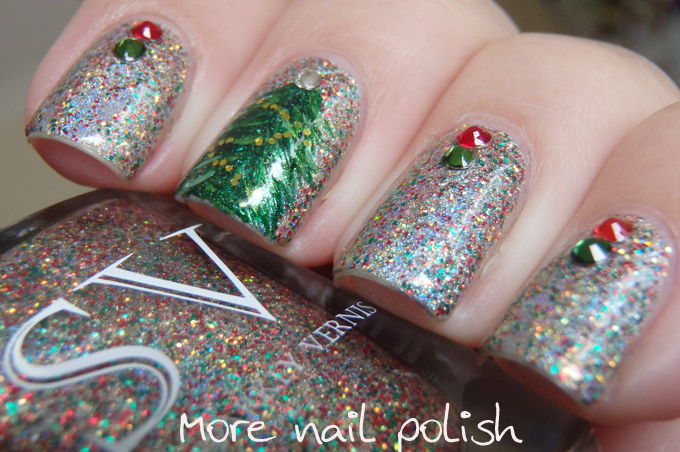 As soon as I opened the bubble wrap on this polish I knew I would wear it on Christmas Day. 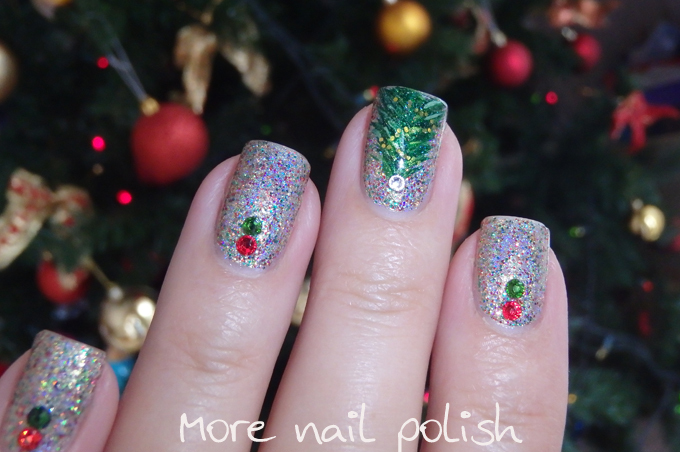 I added some red and green Swarovski crystals and free handed a simple Christmas tree on my middle finger. Merry Christmas to everyone, I hope you enjoy time with your family doing whatever you do that you hold special. I'm so glad you liked it! That macro is TDF!